Second in the Shannara Voyage subseries, still a swift and easy-swinging adventure fantasy. 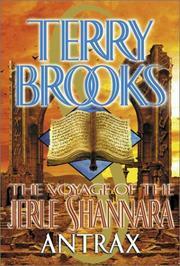 Volume I, The Voyage of the Jerle Shannara: Ilse Witch (2000), kicked off this third Shannara sequence and brought Brooks back to the universe born in 1977’s bestselling The Sword of Shannara, now into its tenth installment and longer than the Tolkien cycle from which it springs. This new chapter ends on a cliffhanger like a Saturday morning serial with the Jerle Shannara about to be shot to bits by an airborne enemy bearing no insignia. Is this series darkening? Will Harry Potter fans come aboard?